Review: The second part of Garage Hermetique's ongoing trawl through the archives of Kirk Degiorgio's acclaimed As One project offers up some classic, previously album-only tracks from 1994 and '97. First up is "Mihara", a wonderfully spacey, positive and dreamy fusion of elongated synth chords, funky, Clavinet style motifs, rich bass and skittish, Detroit-influenced drums. 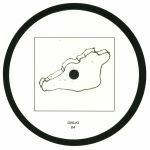 Deep breakbeat-techno cut "Destination Other" showcases two of Degiorgio's primary influences - namely jazz-funk and Motor City electro - while "Shambala" (B2) is a breezy, attractive and aesthetically pleasing chunk of techno/electro fusion. 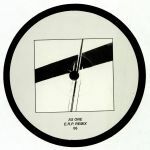 Fittingly, Convextion man Gerard Hansen dons his E.R.P alias to deliver a 2018 update of the latter track, in the process turning it into a warm, yearning and loved up chunk of deep electro full of lilting melodies and drifting pads.